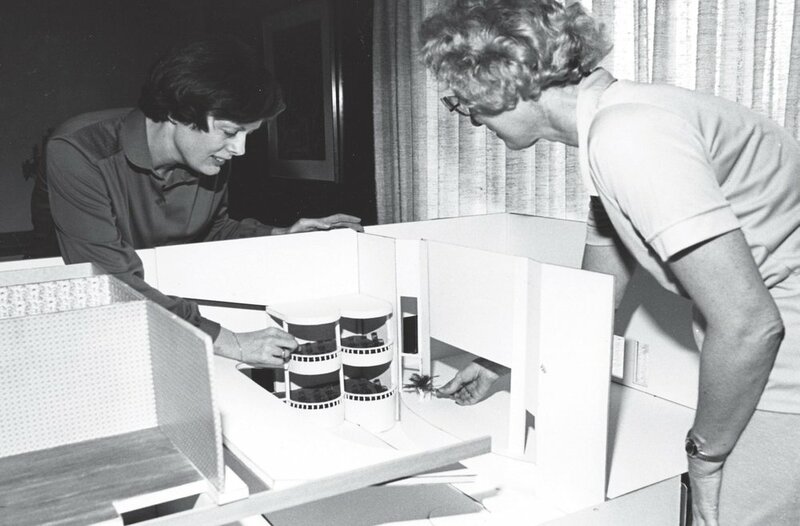 In 1981, Doris Dellinger and Carol Bormann began a project to build a scale model of the Stillwater Opera House. Their goal was to create a historically accurate replica of the Grand Opera House in order to preserve Stillwater’s history. They wanted the miniature to look as the Opera House did when it was first built in 1900 by Louis J. Jardot and James W. Blouin. In 2015, Barbara Mintmire took on the task of restoring the model to its former glory. The model is now on display in the lobby of the Sheerar Auditorium. 1900 - Brothers-in-law Louis J. Jardot and James W. Blouin partnered to open Stillwater’s very first opera house. Jardot managed the construction while Blouin financed the construction. The building was three stories, making it the largest building in Stillwater. 1901 - The Grand Opera House opened for its first performance on July 1st, on East 9th Ave. It was the third largest theater in Oklahoma. The Opera House was used for a large variety of events ranging from political assemblies, traveling bands, school meetings, and both professional and locally produced plays. Carrie Nation came to speak for prohibition here, selling hatchets to raise money. 1907 - marked the first “talking picture” movie shown in Stillwater; however, movies did not become regularly shown at the Opera House until 1910 when film was more widely circulated and easier to find. 1908 -The “Waving Song,” originally composed by Victor Herbert, was first performed at the Opera House for an Oklahoma Agricultural and Mechanical College “follies” show. Since then, it has been a college tradition to play the song at athletic events. 1913 -The Grand Opera House was renamed The Hollywood. Movies had become so popular, the owners wanted the name to reflect the cinema connection. 1919 -The Hollywood Theatre was leased to J.W. Whipple and C.W. Wakefield and was renamed Isis Theatre. After several years, the name changed back to The Hollywood. 1932 -The last known use of The Hollywood was by the Bethel Tabernacle. 1946 - The Hollywood building was purchased and turned into a furniture store. The roof was lowered at this time in order to conform with other surrounding buildings heights. 1981 -Carol Bormann and Doris Dellinger began building a miniature of the Opera House. The project began in June; they finished it in September of the same year. The model was built at a half-inch to one-foot ratio. This scale was chosen so that when the model was finished it would be easily transportable, but large enough to show detail. To save on cost, they built a large portion of the furnishings themselves. The estimated cost to build the model was around $1109 in 1981. Their degrees in Interior Design fueled their desire to be as accurate and detailed as possible. 2015 - Barbara Mintmire began restoring the model to its original glory. In total Barbara spent 500 hours on the restoration. 2017 - To protect the model Marie H donated the funds for Justin M. to build a permanent case for the model. The model is now on display in the Sheerar Auditorium lobby.